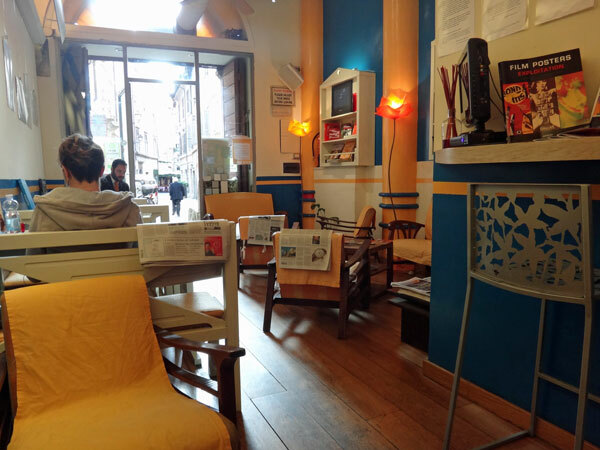 Looking for a cafe in Rome that’s cute, cozy… and has free Wi-Fi? You’re not alone. As much as it might seem like I spend 99% of my time shopping, dining out, traveling, and otherwise enjoying la dolce vita, I also work. A lot. And every once in a while, the idea of spending one more day staring at nothing other than my laptop and my office wall is enough to make me consider going back to (shudder!) the real world. 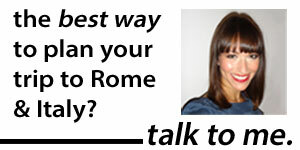 Which is why I’ve made it a priority to seek out the best, friendlist spots in Rome that have Wi-Fi. And that won’t kick me out, or make me feel uncomfortable, if I hang out there for three or four hours straight (keeping myself nourished with a steady stream of coffees, of course). 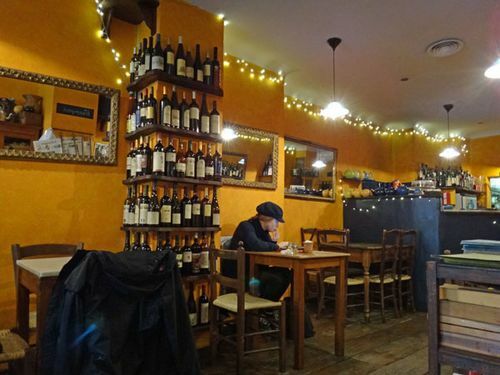 This cafe (also pictured at top), located a stone’s throw from the Colosseum, is a favorite with expats, perhaps because of its non-American feel: The menu includes a long list of exotic teas, fruit smoothies, and snacks like hummus and baba ghanoush alongside polpettine and pasta. But don’t come for the food, which is admittedly overpriced and variable (no need to get your hopes up about that hummus). Instead, duck in for the good coffee, free Wi-Fi and cozy atmosphere. Extra bonuses: Coffee and tea comes with cookies; on sunny days, you can sit at one of the outside tables with a view of the Colosseum; if you’re in search of productivity, the separate-table-setup, while not as cozy as couches and armchairs, means you’re less likely to find someone sliding up next to you on overstuffed cushions, asking where you’re from, what you do and if you’d like to go for a motorino ride later that evening. Cafè Cafè is located at Via di S.S. Quattro 44 and open daily from 10am to 1:30am. While the brightly-colored decor and lights are somewhat eccentric, Barnum wins points for its comfy seats, warm atmosphere, reliable Wi-Fi, and central location. And forget coffee: Snacks like spinach quiche or chocolate brownies are the perfect midafternoon pick-me-up. Thanks to its location near Campo dei Fiori, be aware that come evening, Barnum tends to feel more “bar” than “home-office-away-from-home”. Extra bonuses: Friendly service; the more convivial, communal atmosphere makes it ideal for those who like to break up their work day with some (gasp!) socializing. Barnum Cafe is located at Via del Pellegrino 87 and open Monday from 9:30am to 9pm and Tuesday to Saturday from 9:30am to 2am. I’m not sure why a “Barnum” and a “Circus” each made my top-three list, but there you have it. (Someone just needs to open a “Ringling Brothers” cafe and we’d be all set). 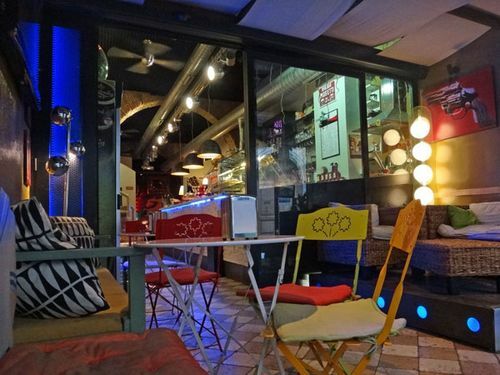 In any case, Circus, a 3-minute walk from Piazza Navona, is a gem. It’s just slightly far enough off the beaten track that most tourists get sucked in by other (terrible) spots, including those right on the piazza, before they even get this far. So during the workday, especially, the atmosphere is quiet and relaxed. Along with free Wi-Fi, you’ve got your choice of tables in the front, couches in the back. 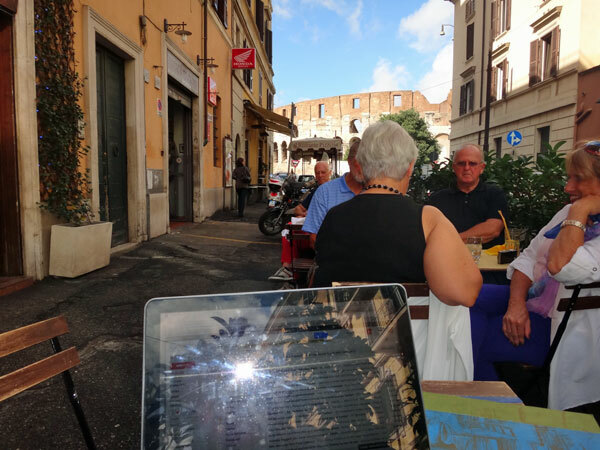 Extra bonuses: The international newspapers and magazines at each table are a nice touch; most customers during the day are typing away on Macbooks, so you won’t feel out-of-place or antisocial by doing the same. Circus is located at Via della Vetrina 15 and open from 10am to 2am daily. Great article. Thanks! I look forward to visiting some of these cafes later this year. Thank you – more than likely will be checking Circus out. Thank you! I’m new in town and this post was really useful!